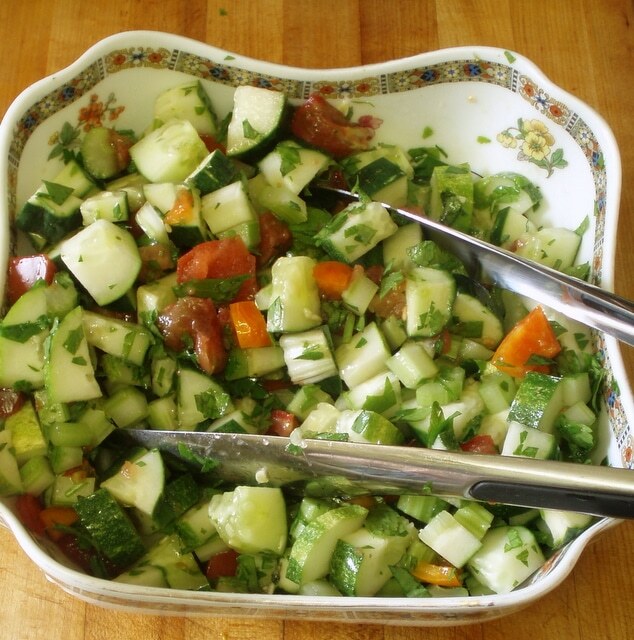 Years ago some variation of this was my go-to dish for pot lucks and picnics. “Anne will bring potato salad, of course. Anne, that salad with the unpeeled potatoes? With the egg/onion/veggies? You will bring your potato salad, right? 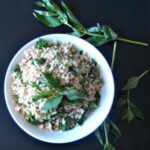 ” I was never quite sure how this recipe became The Potato Salad for our circle of friends, but… I had to assume that it must taste pretty good! And this version? Well – with the CSA I try to use what I have, instead of going out and buying vegetables and neglecting my full crisper. No celery? 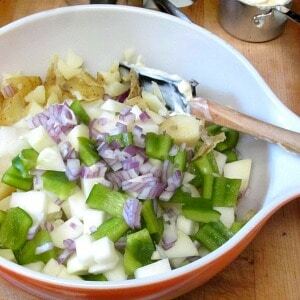 Well, what do I have… green pepper, of course, I’ve used bell peppers for years, but also… kohlrabi? Well – the celery is there as much for crunch as flavor, and kohlrabi has lots of crunch! And flavor… in future, I’ll plan to use it! When they are cooked, while they’re still hot, cut them in halves or quarters (depending on size) and sprinkle apple cider vinegar over the cut sides. It sinks in, you don’t get an obvious sharp taste but it adds a little zip. (You can skip that step, but it’s easy enough, why would you?) Then let them cool. And if your eggs aren’t already cooked, do them now and let them cool, as well. While the potatoes cool, assemble and chop your vegetables. You want about two cups all together. I started this with a kohlrabi – make sure you peel it deeply enough to get all the fibrous part in and under the skin. Then I just added half a large green pepper. Red bell pepper would be lovely, the original celery is classic, some radish if the people eating it would enjoy that, anything with both crunch and flavor. And some sweet onion. As I said, my tastes have somehow changed (or I get onions with more flavor these days – that is entirely possible!) I used about a quarter of a red onion, this time, chopped fine (not quite minced, but close…) You can certainly use more if you like, I used to and most people did seem to enjoy it! And yes, I included that in my two cups. Once you have mixed everything well, cover and refrigerate for a few hours. It tastes better cold, and the flavors meld and sink into the potatoes. 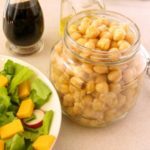 And then, because of the crunchy vegetables, it keeps nicely for two or three days – a great choice to make when you have a little time to serve later in the week! 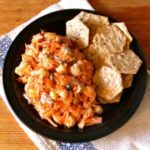 Potato Vegetable Salad? 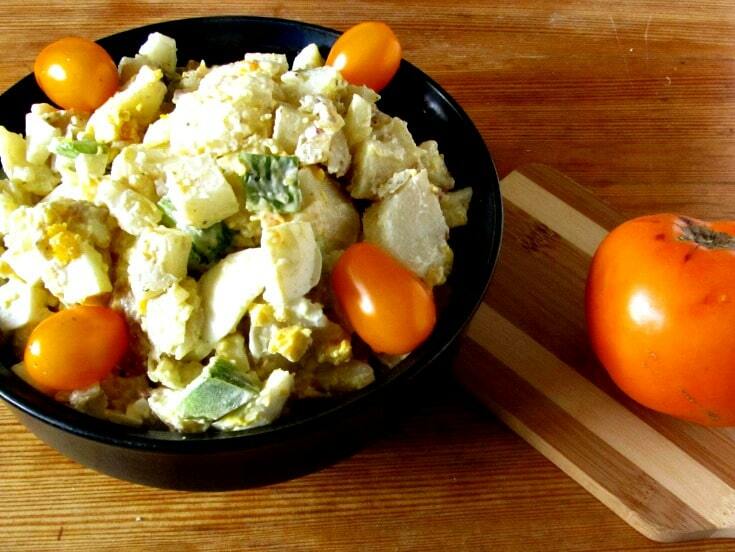 Vegetable Potato Salad? And I didn't even mention the eggs... Creamy potatoes and eggs, crunchy vegetables, and lots of flavor. 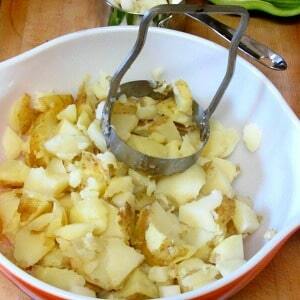 Cook the potatoes whole in their skins. 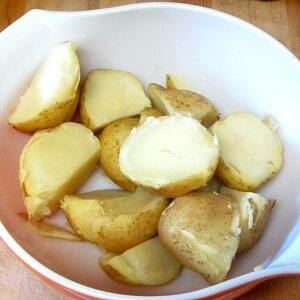 When they are cooked, cut them roughly in large chunks, sprinkle with the vinegar, and let cool. Once the are cool, chop them into bite sized pieces. Add the peeled eggs, and chop them as well. Add the chopped vegetables, and toss well. Stir in the mayonnaise and seasoning until thoroughly mixed. Cover and refrigerate a few hours before serving. 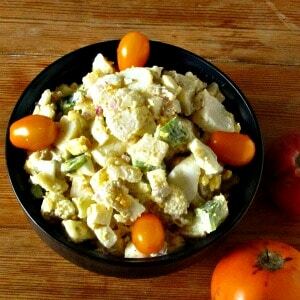 I love potato salad and this recipe looks perfect for a picnic or potluck. Thank you! We do eat it at home, too... (I just realized one might not know that from the post! LOL) but it did always go over particularly well. Enjoy! And absolutely make it to your own taste. 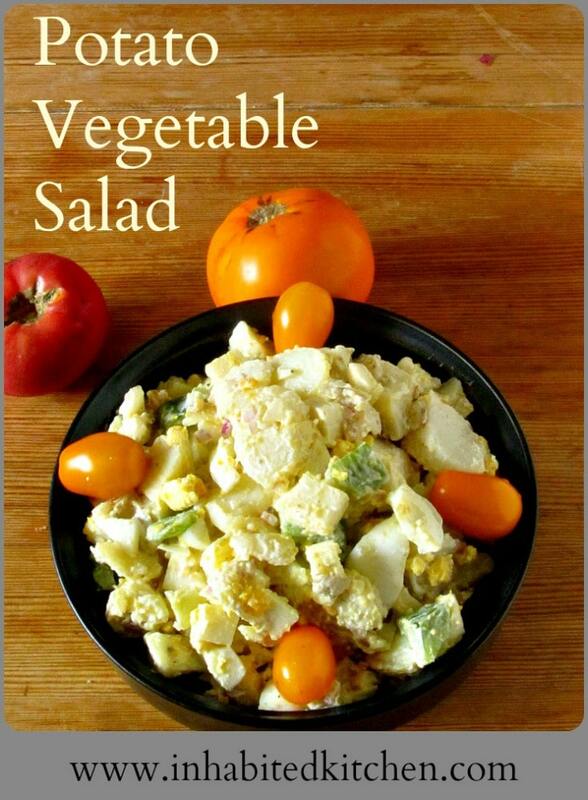 This is really a pretty flexible recipe - just make sure you get the crunch of the vegetables! Oh, that sounds great, because it's tangy, too! The flavor really permeates the hot potato, doesn't it? Adds so much! Potato salads are the best and a great way to end the summer! Especially with the great potatoes arriving now! Thanks! It's amazing what the contrast in texture does. Mmm I always find potato salad so addictive, I love the sound of this recipe. This looks similar to potato salad that I make. I always add hardboiled eggs too. My daughter always requests this for her birthday. This recipe looks perfect! Can't wait to try it over the weekend! I'm so glad! Enjoy it!